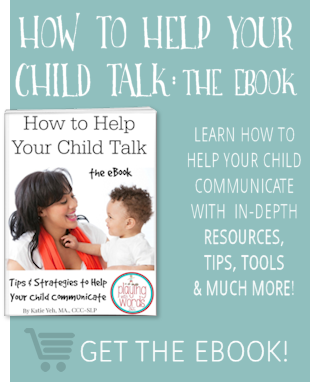 Hands down, one of the best things you can do for your child’s language development aside from talking to your children often is to READ. Read often. Read, read, READ! Which is why I will be taking part in the Virtual Book Club for Kids this year. What is the Virtual Book Club for Kids? Have you ever been part of a book club as an adult? Typically in an adult book club, the group all reads a book and gathers together to discuss it and learn from one another. The participants discuss their opinions on the book, likes, dislikes, and/or hypothesize about how/why things happened to the characters within the book. Book clubs provide a social outlet full of conversation, an opportunity to meet new people and an opportunity to read new books by new authors. 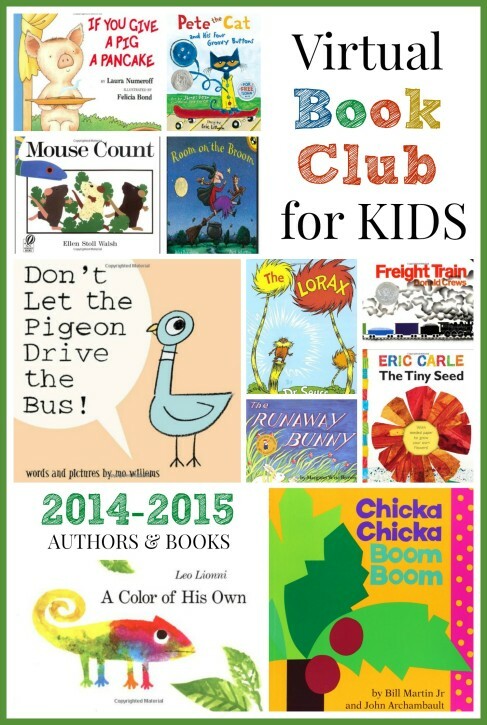 The Virtual Book Club for Kids is a similar idea. It’s a club for parents, teachers, childcare providers, educators and bloggers to connect and to explore some fabulous authors and new books! Each month we will study a new author and each participating blogger will choose a book (or more than one) and share an educational activity to go along with the book. As a reader, you will be able to browse through all the participating bloggers posts as we will link them all together for you. 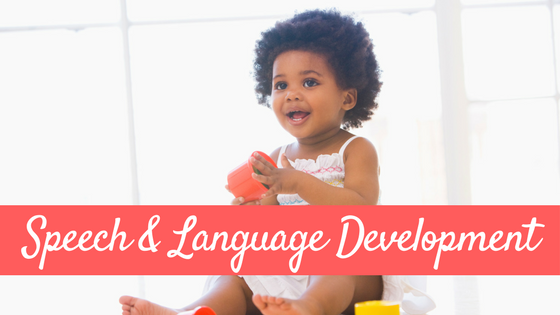 Find new, FUN, literature based learning activities that can be used in classrooms, therapy, and at home with children to help develop and expand an array of skills in young children including speech & language skills! What Authors will be Featured This Year? What Books will Be Featured This Year? This year we will be focussing on THREE books a month by each author. Here are the specific books we will be doing each month. Feel free to click through to read more about each book. These are all Amazon Affiliate links for your convenience, in case you would like to purchase any of these books to read along with us! 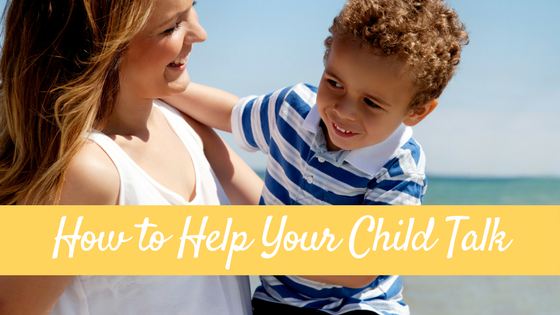 GET A FREE PRINTABLE AUTHOR/BOOK LIST AT The Educators’ Spin on It HERE. 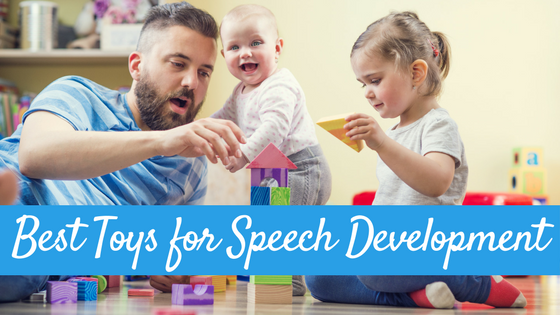 As a pediatric speech language pathologist, my VBC posts will focus on speech and language activities that can be used either in the home and/or in the therapy room to help expand speech & language skills in young children. 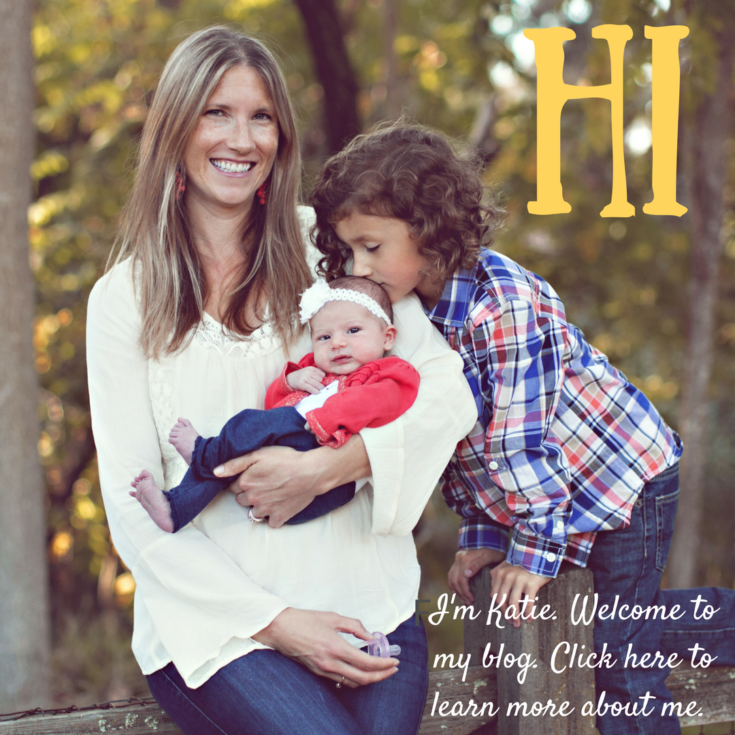 My aim is to make activities SIMPLE and FUN using common household items. I want these learning activities to be more than just pretty pictures but learning experiences for our little ones. 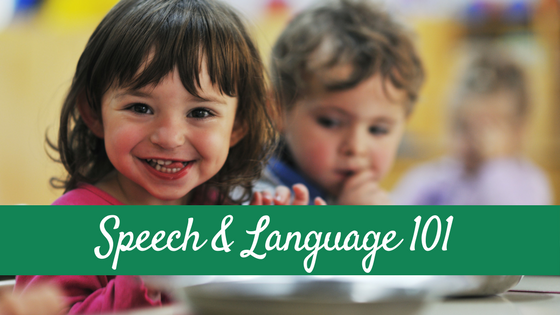 But I also want to make them realistic and simple so that the focus can be on the speech & language experience! 1. Add the dates to your calendar and start reserving or finding your books! 2. 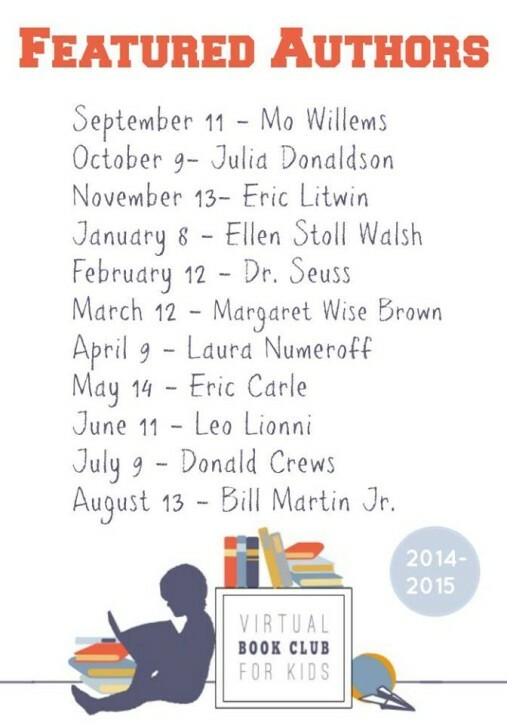 Pick at least one book each month to read with your child. 3. Do a book inspired learning activity or craft after you read the book. 4. Come stop by on the second Thursday of the month and tell us what you did here in the comments of my post or over on the Virtual Book Club for Kids Facebook Page! We would LOVE to see you over on the Facebook Page so head on over and give it a “like”! I love this idea! We are all set with Julia Donaldson but will have to source some of the others.